The name is Dowling...Father Dowling! CBS Action has now rebranded to CBS Justice! If you are unable to receive CBS Justice, or if your TV is still displaying CBS Action and you are watching via Freeview please retune your equipment. 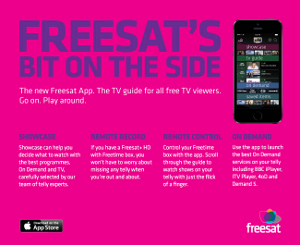 For details on how to retune your Freeview Equipment please follow this link. Early Christmas present for you, NCIS Season 11 this December! The Ponderosa is open all November, care to join us? Walter O’Brien and team Scorpion nightly at 9pm! Get ready for team Scorpion! Red Troop are ready, are you? When 60 minutes of Chuck Norris isn't enough! Chuck Norris on CBS Action, you need no more information! Dr Sloan will be taking more time on his cases in July! A series with a real sting in its tale, Scorpion. Want some Action this March? You got it! Will February 13th be unlucky for the NCIS: LA team? Dr Sloan will see you now! Well, weeknights at 7pm! We've got Christmas Day and Boxing Day sorted for you with the finest seasonal episodes from your favourite CBS Action shows! The list includes Dr. Quinn, Medicine Woman, JAG, NCIS, MacGyver and Walker, Texas Ranger. Which ones will you be tuning in for? CBS Action and CBS Action +1 are on the move! Prepare yourselves for big changes! Yes, your favourite channels, CBS Action and CBS Action +1 are moving on Freeview. From 2nd August CBS Action moves from channel 64 to channel 39 and CBS Action +1 moves from channel 74 to channel 64! Your box should automatically update but if they don’t a quick retune should sort things. Get ready to crack crime in LA in July! CBS Action +1 has moved! Yes, CBS Action +1 can now be found on Freeview channel 74 on the EPG (CBS Action will remain at channel 64). Viewers will need Freeview HD equipment to receive the channel and most TVs should update automatically. The heat continues into May for the CSI: Miami squad. CBS Action +1 is coming to Freeview! Ever missed the start of one of your favourite CBS Action shows? Well help is at hand, on March 15th CBS Action +1 is launching on Freeview channel 90 on the EPG (CBS Action is at channel 64). Viewers will need Freeview HD equipment to receive the channel. Most TVs should update automatically. Celebrate the Season with two special tribute features from Star Trek: The Original Series - The Best of the Baddies, and The Best of Spock. Its been a busy weekend for Nichelle Nichols, CBS Action was part of the team who brought her over to celebrate Star Trek 50 at the BFI. She had time to chat to GMB about one iconic moment from Star Trek: The Original Series. Season 5 Of Bonanza Rides Onto CBS Action! Star Trek's 50th Anniversary! The Celebrations Start This July! New Suicide Squad "Meet The Squad" Promo! Super Hero Fans Watch Out! Wonder Woman - New Image Released For Movie Due 2017! "We're bad guys, it's what we do..." - New Suicide Squad Poster! Best Of NCIS - Favourite Episodes Back-To-Back This Christmas! Watch Out The Bad Girls Are About! NCIS - The World's Most Watched Drama For Second Year Running! JAG Season 10 Flying Onto CBS Action This July. Dare You Come With Us To Harper's Island? CBS Action Talks To Streets Of San Francisco Fan Marguerite Boggans. CBS Action is getting a new Freeview channel number, 64, that’s moving up from 70 as of this Thursday, 19th February. Remember to retune your Freeview TV or digital box to continue to enjoy channel favourites MacGyver, JAG, Star Trek, NCIS and Deadwood. Sleepless Night - Die Hard Meets 24 With Added Taken! Great news for Virgin Media Customers. All Virgin Media TV customers can watch CBS Drama, CBS Reality, CBS Action and the Horror Channel at no extra cost from 3rd September for one month until October 3rd. CBS Action's Star Trek App Up For An Award - Vote Now! CBS Action is an official partner of Destination Star Trek London which is being held this weekend at the Excel Exhibition Centre. We'll be posting pics from the event on our Facebook and Twitter feeds so make sure you check both so you don't miss any of the fun. To celebrate the arrival of Star Trek: Voyager to CBS Action our resident Trekologist Raules Davies will be hosting a live Twitter chat during the first episode from 8pm tonight. Get your questions ready! Chuck Norris Now In HD! Shatner Has News For you! Do You Look Like Jason Statham? If So Read On...! Still Time: Viewers' Choice: Freesat Channel Of The Year Award 2011 - Vote CBS Action! CBS Action celebrates its first birthday this week and to mark the event we have 30 Star Trek "Live Long And Prosper" T-shirts to give away to our Facebook Fans. All fans are eligible, so simply join our CBS Action Facebook Army by clicking on the 'like' button and you may be chosen at random to receive one of these exclusive T-shirts. This giveaway closes on December 15th 2010.